The Southern African Lepidoptera Conservation Assessment (SALCA) is a two-year project of the Brenton Blue Trust (BBT) and LepSoc, with support from the South African National Biodiversity Institute (SANBI). It is aimed at evaluating the conservation priorities of our butterflies and moths in the southern African region. Results of the SALCA project will feed into the next National Biodiversity Assessment (due 2018) conducted by SANBI, who is mandated by government to regularly report on the status of South Africa’s biodiversity. SALCA aims to re-evaluate the conservation priorities of all threatened and rare butterfly species in the southern African region (154 taxa), by including new and current data. 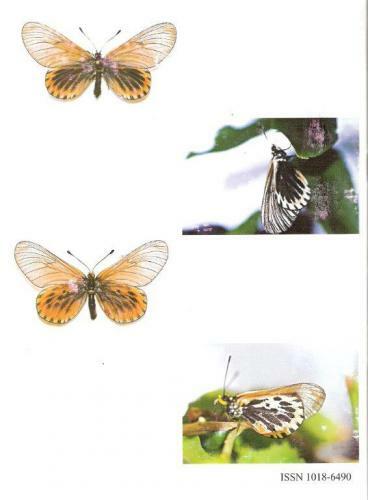 Another five butterfly taxa recently observed in South Africa for the first time will also be assessed. SALCA will also, for the first time, include basic analyses for the region’s moths, as well as new conservation assessments for a subgroup of the moths. The conservation assessments, based on IUCN Red Listing standards, will provide baseline information that is needed for conservation planning. This information will help determine the current risk of extinction to our buttermoths. It will identify no-go areas for development, the main threats to our buttermoths, and what conservation actions are urgently required to protect our threatened species. It will also highlight the benefits of Lepidoptera to humans. Field surveys focussing on butterflies are coordinated by Provincial Leaders (see contact details below), who will assist you with all the necessary permits and survey information. The Provincial Leaders will prioritise surveys for taxa identified by SALCA as of greatest conservation concern, and surveys will also be prioritised by areas where little is still known. Moths may be surveyed but no formal surveys are planned. The Provincial Leaders need the help of all members, so please become involved and contact them to see what you can do to help collect valuable conservation data. We may also digitise outstanding important collections. We will also include verified butterfly photos submitted by the public via the online virtual museum, LepiMAP. All data for SALCA is due by 31 March 2017. Thereafter, we have appointed specific taxon authors who will be responsible for verifying the data and updating the conservation assessments and Red Listings. The completed assessments will be handed over to SANBI by the end of June 2017, for inclusion into the National Biodiversity Assessment. For more details on the project, please click on this link to read the latest article “Southern African Lepidoptera Conservation Assessment (SALCA)” published in Metamorphosis. SALCA follows on the footsteps of the Southern African Butterfly Conservation Assessment (SABCA) project which was completed a few years ago. SABCA was funded by the SA and Norwegian Governments, and LepSoc members themselves in the form of time and money spent on carrying out butterfly surveys. Over four years nearly 350 000 data records were gathered – of which nearly 18 000 came from the public. Many new localities were found, and the conservation status of all SA's butterflies – not only the threatened ones – were updated and published in 2013: Conservation Assessment of Butterflies of South Africa, Lesotho and Swaziland: Red List and Atlas. SABCA found that three of our butterflies are extinct and a further 60 species and subspecies are threatened with extinction. Also, half of our butterflies are endemic to the region, i.e. they occur nowhere else in the world. Most of our threatened butterflies occur in the grassland and fynbos biomes. The main threats to our butterflies are habitat degradation (e.g. invasive alien vegetation) and habitat loss (e.g. urbanisation and agriculture). SABCA was a great success, and it raised public awareness of butterflies to a new level. But it tended to raise more questions than it answered, and of course it was limited to butterflies which make up less than 10% of the Lepidoptera; the rest being moths. Buttermoths belong to one of the most diverse order of insects, Lepidoptera, with butterflies being the most popular of all insect groups. South Africa has a high diversity of buttermoth species, with about 8 500 described for the region. Of these just about 660 are butterflies. Although moths form over 90% of the Lepidoptera fauna, they have been largely over-looked in conservation studies. Buttermoths have highly specialised larval host requirements, which therefore impacts on a significant proportion of plant species. Buttermoths are important pollinators, especially for fruit trees, and they are also meaningful indicators of ecosystem health. It is therefore imperative that they are monitored and conserved. Adrian Armstrong, Jonathan Ball, Justin Bode, Kevin Cockburn, Andre Coetzer, Bennie Coetzer, Chris Dobson, Jeremy Dobson, Dave Edge, Alan Gardiner, Graham Henning, Andrew Morton, Ernest Pringle, Fanie Rautenbach, Harald Selb, Reinier Terblanche, Mark Williams, Steve Woodhall.